In Greek and Roman mythology, a cyclops is a powerful being who possesses only a single eye. The mythical Titans were cyclops, and in Homer's The Odyssey, Poseidon's sons were also described as being one-eyed beings, cyclops. Many cyclops have appeared throughout cult-TV history. 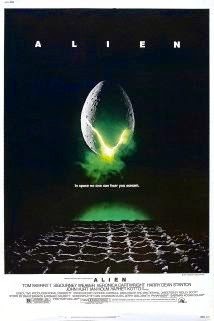 Usually, like their mythical predecessors, they are powerful or menacing beings. 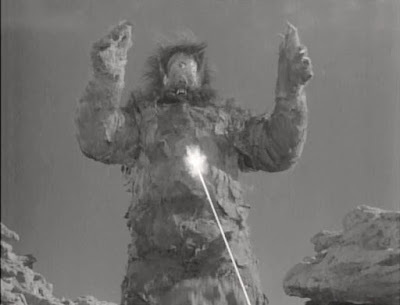 In the first season of Irwin Allen's Lost in Space (1965-1968), for example, in the episode "There Were Giants in the Earth," the Robinsons encountered a gargantuan monster, a cyclops whom they found unremittingly hostile. 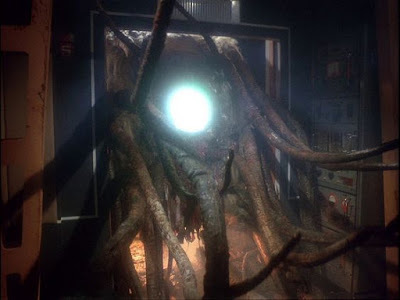 After this episode, the being was not seen again, so we can't know for certain if he was an alien marooned on the planet, a mutant, or a member of an indigenous species. Space:1999's (1975-1977) most famous episode, "Dragon's Domain," also involves a cyclops, though a non-humanoid one. The strange dragon creature who inhabits a space graveyard in this episode of Gerry and Sylvia Anderson's space epic, possesses just one glowing, hypnotic eye. A predator, this spider-like, tentacled being did not even register as a living being, and was compared in the installment to the mythical story of St. George and the Dragon. 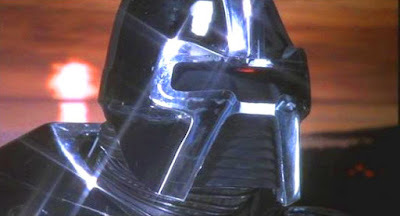 The villains of Glen Larson's original Battlestar Galactica (1978-1979) are also cyclops. 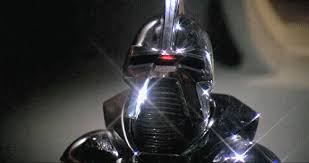 The Cylons are robots, and yet these Centurions possess just one roving, red eye. 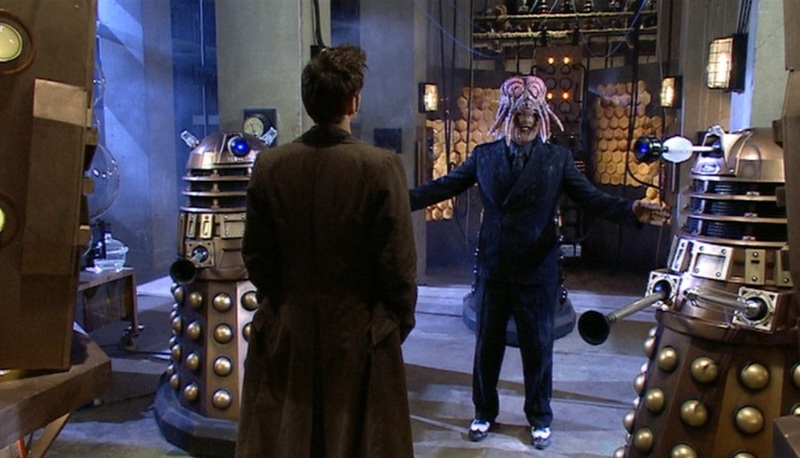 They are, then, mechanical cyclops. The syndicated Laurel anthology Monsters (1988-1991) features a cyclops in its opening montage every single week. The cyclops in this case is a suburban mom serving dinner just as her monster family sits down to dinner, watching their favorite series (Monsters, of course). 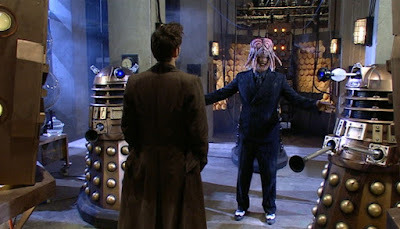 In Doctor Who (2005 -), the Dalek/human hybrid, Dalek Sec, is a cyclops too. 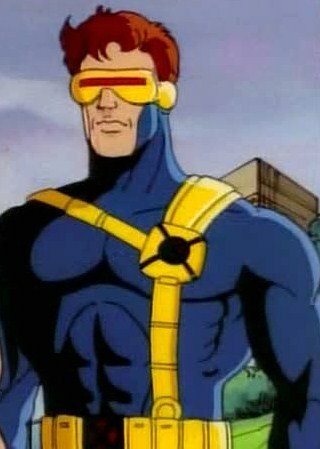 Finally, many animated X-Men series have featured a mutant, Cyclops, who lives up to his mythical predecessors.